Ever wondered how to keep your precious valuables secure without permanently sacrificing your cargo carrying capacity? 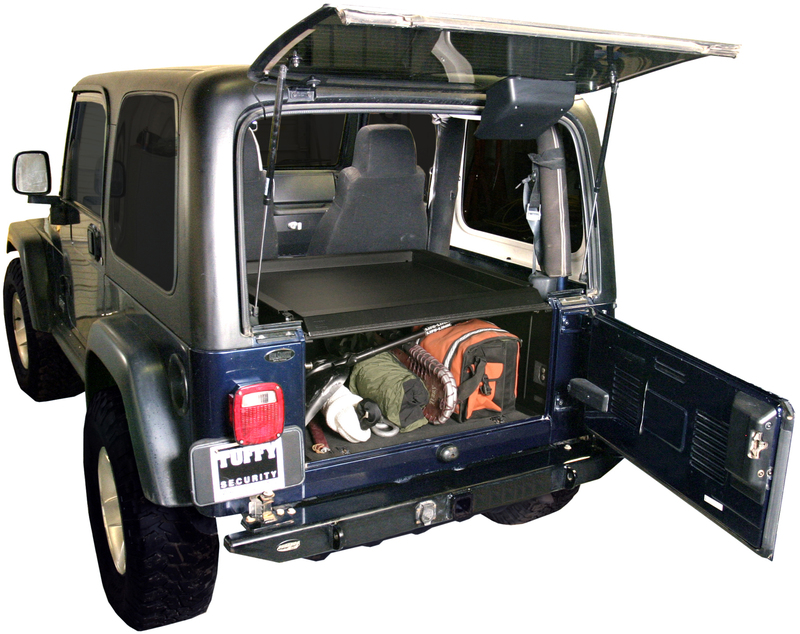 The Security Deck Enclosure from Tuffy Security Products is now available for all 1987-2006 Jeep Wrangler models. The heavyduty steel enclosure creates an ultra secure storage area inside your Jeep to help protect you from being a victim of one of the 2.5 million car break-ins reported every year by the FBI. Tuffy’s innovative design and mounting system allows for a quick, no-tools required removal for those times when the entire cargo area is needed and a weight bearing lid that incorporates a convenient storage tray allows heavy items to be stacked on top of the Enclosure.